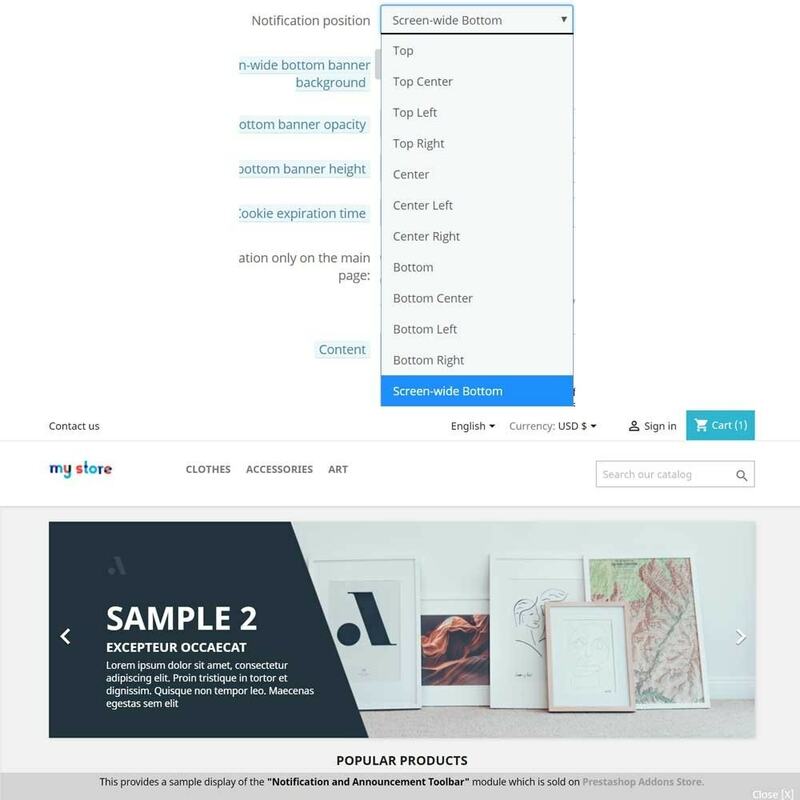 Presenting you the very effective notification bar module which adds an attracting bar to the top, bottom , center, left or right of your website to highlight some specific news you want to convey to your users. 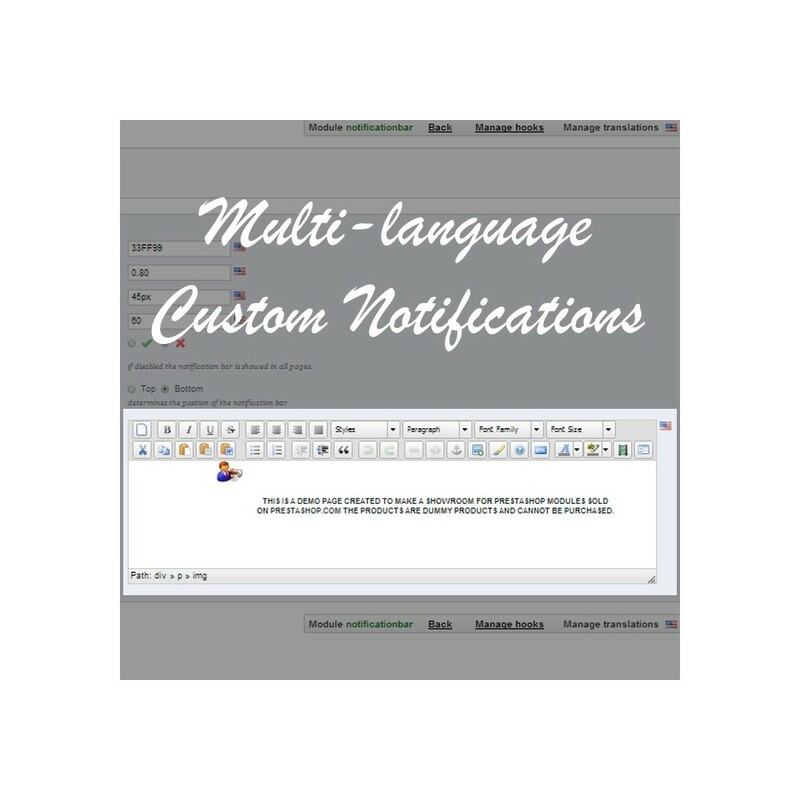 You can use different notifications in different styles for different languages. Notification bar is showed at every positions of the age and at the bottom screen-wide with no gap left. Slides with the page accordingly. Transparency is an option. The rate of transparency (opacity) can be adjusted for the bottom bar. 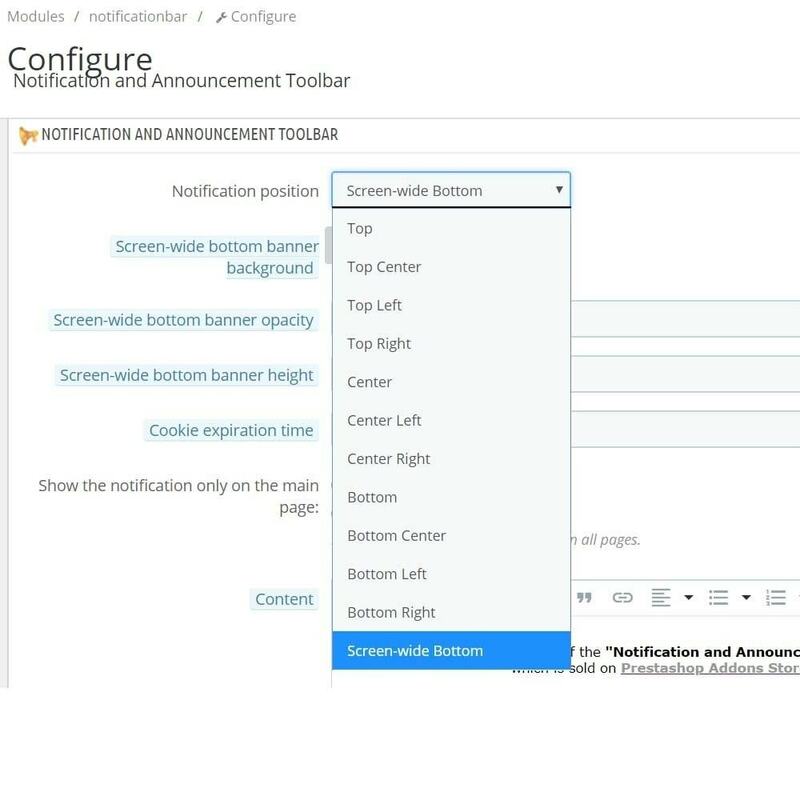 Notification bar content can be changed according to the language selected. 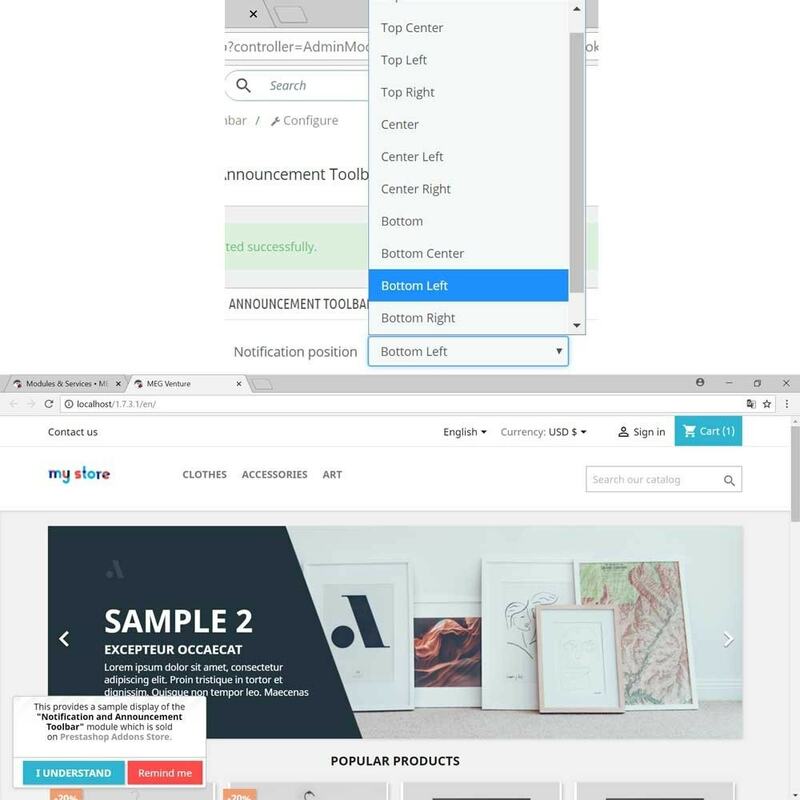 HTML is allowed. 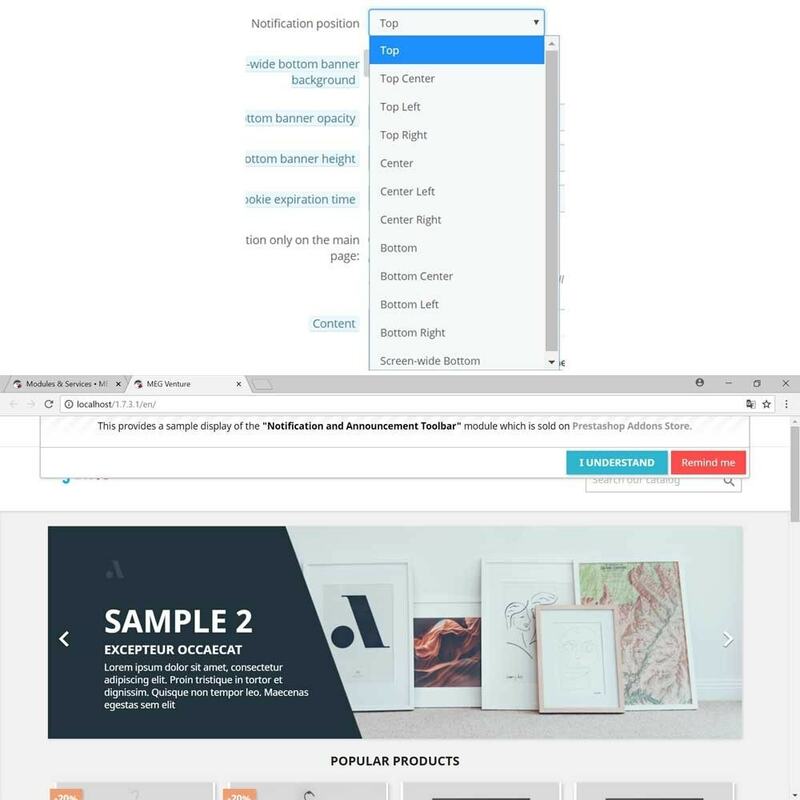 Custom features like the height of the bar, background color and opacity are also adjustable for the screen-wide bottom bar. 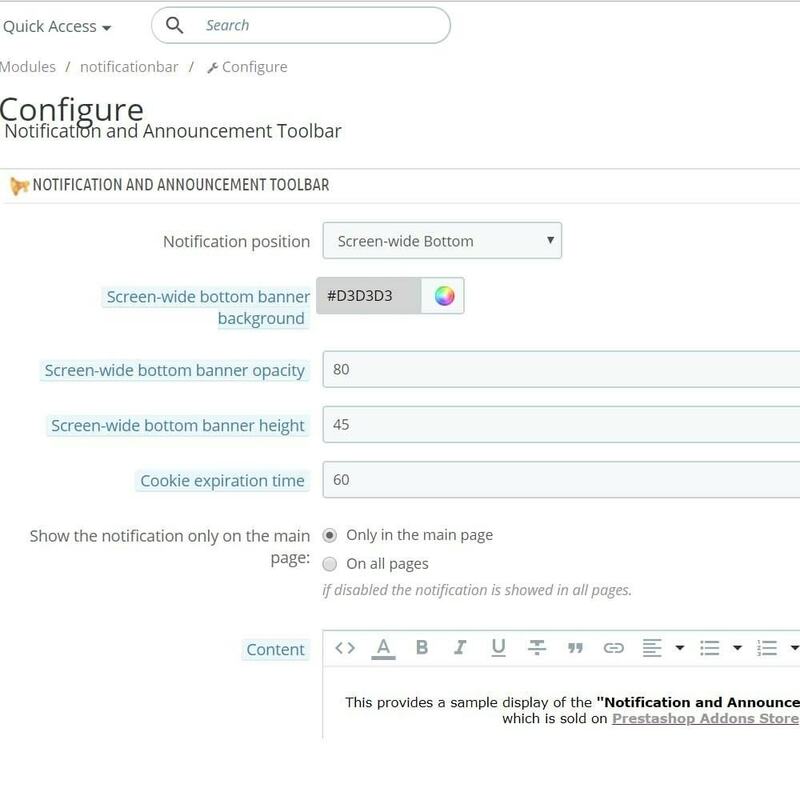 Notification bar can be displayed either only in the main page, or in all pages. Customers will be informed quickly and at a first glance. 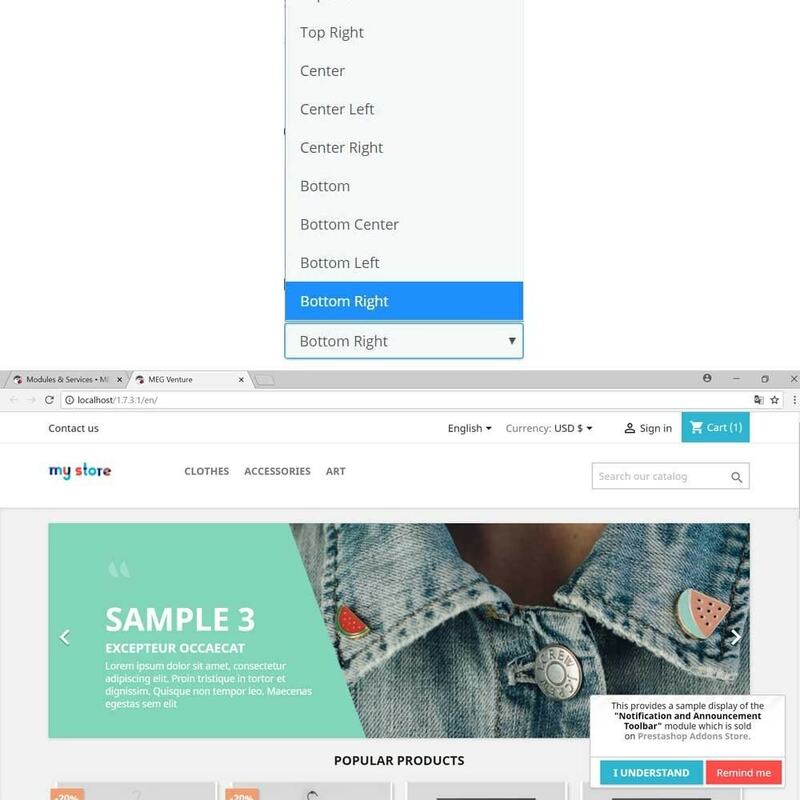 If a customer doesn't want to see the notification, simply clicks to the close button. 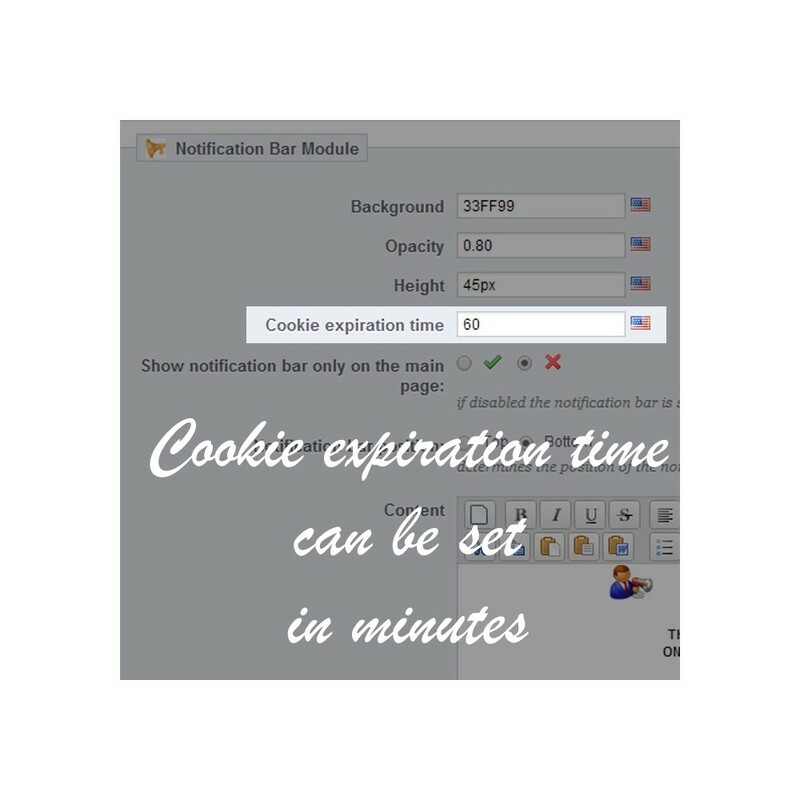 Cookie remembers the user consent not to display the notification again. If you are using multistore enabled, the module should be configured for each store. If not, default values will be used.